Tired of filling out W-2s by hand? Let your accounting software (eg. 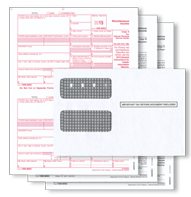 QuickBooks, Peachtree, MYOB, Countryside Data) do it for you using our W-2 Pre-Printed and Blank Kits. We have 1099, W-3 and 1096 too. and we ship the same or next day instead of up to 1 week! Outstanding. The representative I spoke with was knowledgeable and very friendly. My order was received quickly and was error free.